Another week is done, apart from two days of interruptions (due to a day of rain and two half days of other commitments), we had a good week of work. 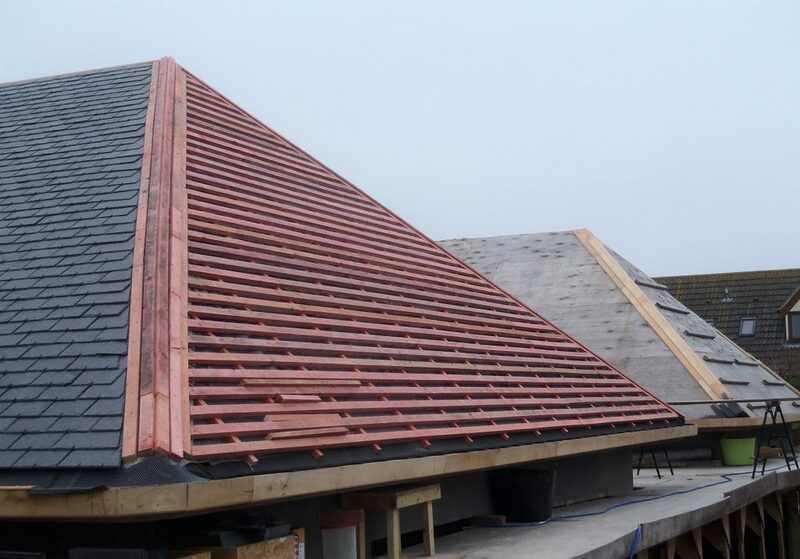 We completed our second section of roof, prepared the next one ready for the slates and finishing off the last stretch of Guttering. First job of the week was to put on the breathable membrane layers up on the K roof, overlapping the rubber strip already done from last week, putting down vertical counter battens every 610mm apart and then nail on all the horizontal tile battens at the usual spacing of 112mm up the slope. 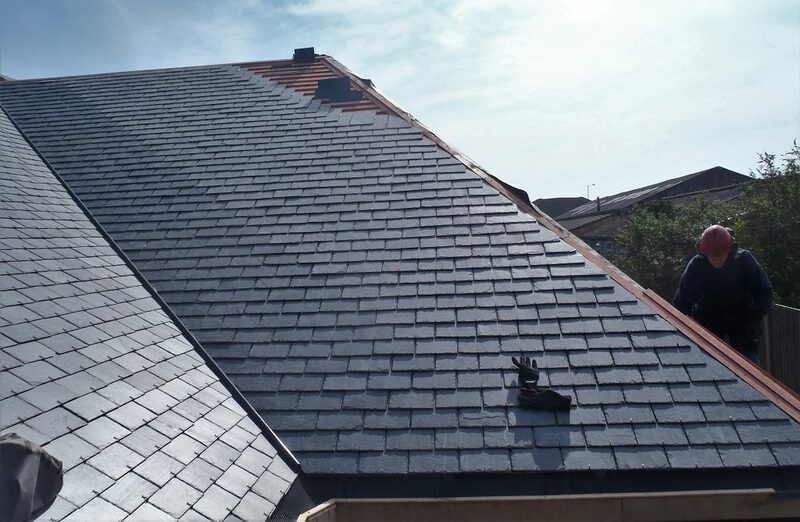 We did this job in two separate stages, the first one being just enough so we could climb up and get over to the J roof so we could complete the task of installing the slates. 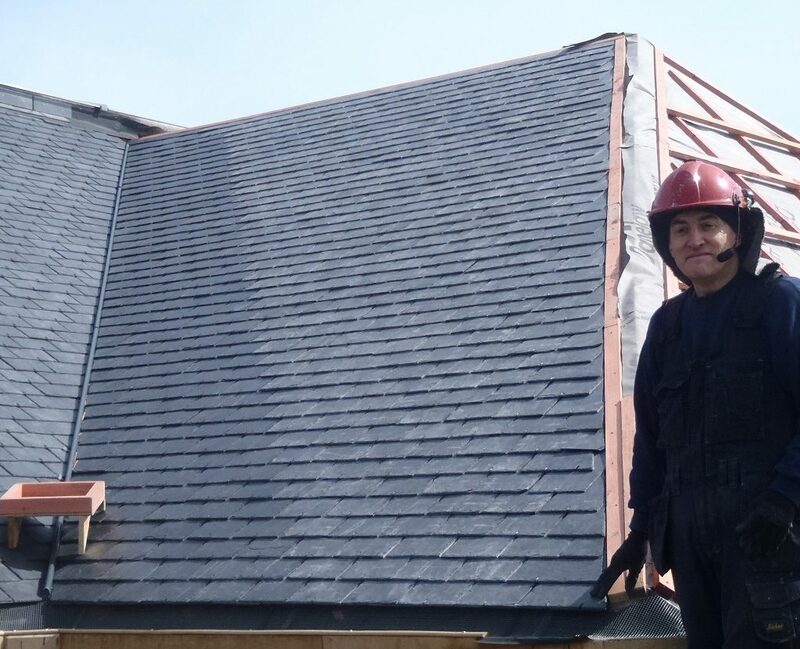 Thus, we duly did finish off putting on the slates on the J section of the roof, a total of about 400 of them. We had also put on the metal mesh over the gutter going around the corner (from J to K). The forecast was for more rain, light random showers, so we got on with putting up the second stage of tile battens on the K roof and got that done, including all the hip flashing battens too. 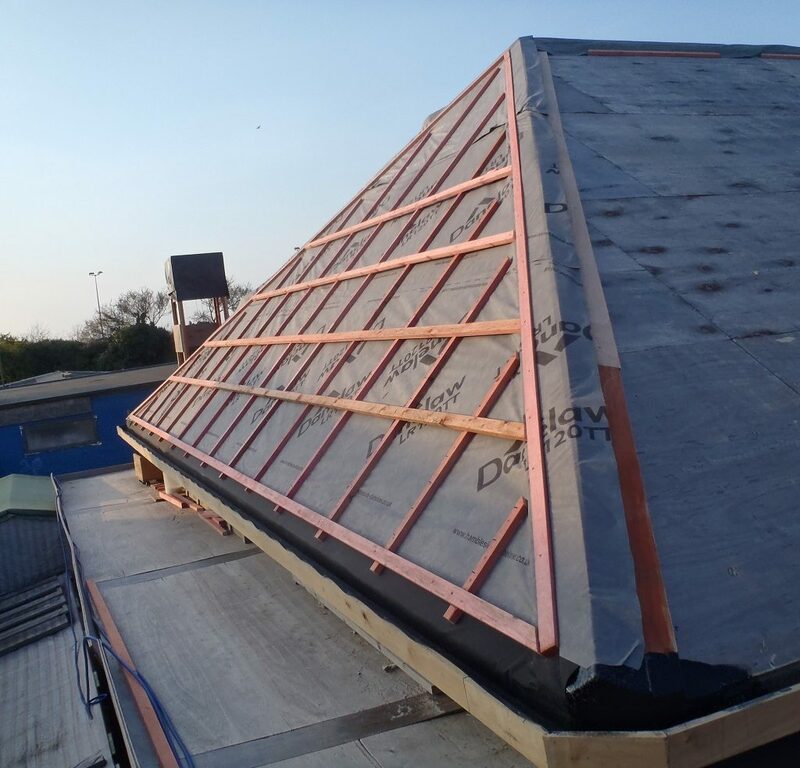 The other job that was completed, earlier in the week, was completing the guttering along the O section and also a little bit on to the P section too, which now concludes all the roof elements along the back of the building. Next week, if the weather holds good, we may install more rubber and breathable membrane layers on the rest of the roof surfaces along the back, L, M and O, and put up the first set of counter battens and a few tile battens to act like a ladder. 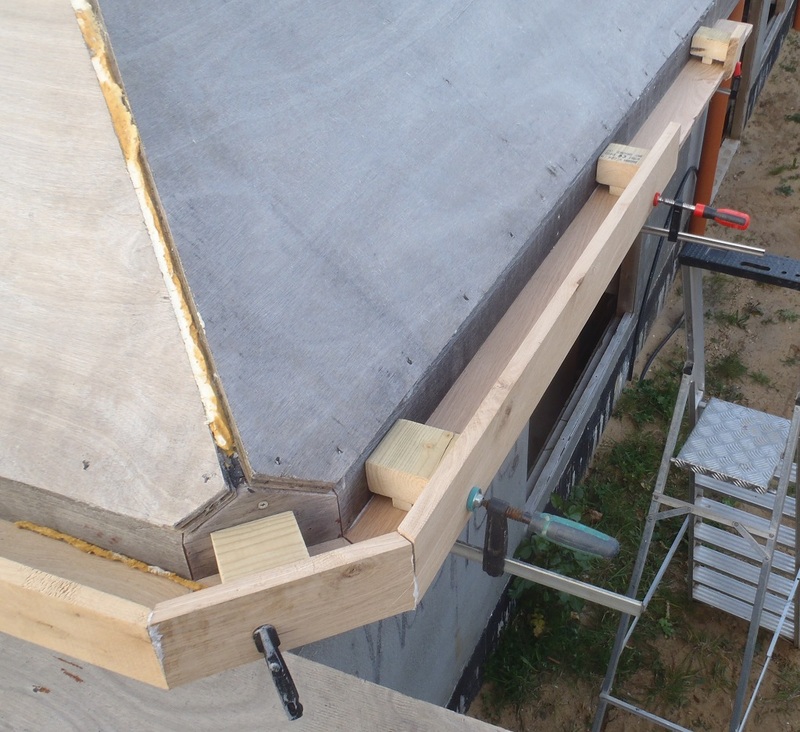 If the weather is bad, then we will be working in the workshop to make fibre-glass flexi-plastic objects to protect our Hips and Ridges against the rainwater when we put on the flashing slates.